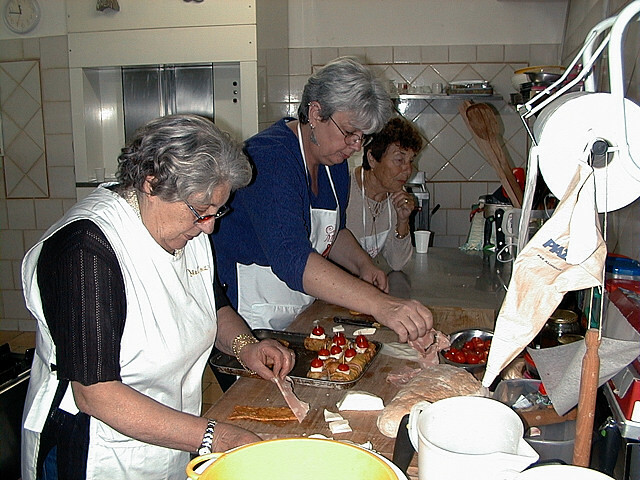 Maria Maurillo, the effervescent owner of the Inn, teaches Umbrian home cooking to small groups of food lovers in her own kitchen. From simple sauces to exquisite truffles, Maria delights in showing participants how to use the traditional Umbrian ingredients to prepare regional dishes with remarkable flavors. Malvarina Country Inn, located on the slopes of Mount Subasio 4 miles outside the Medieval walls of Assisi. This program was featured on CNN Travel Now show. Feel free to request a free DVD about the CNN show. Class lasts for about 2 1/2 to 3 hours, starting at 4:30 PM Monday-Friday. €95, per person, minimum 2 participants. Please, call for larger group price. €650, per person, based on double occupancy.